Today, one of the things I aim to accomplish is to drink enough water. I live in a state of dehydration- most days running on coffee alone. Yes, I realize that this is terrible. Humans are 60 percent water so it affects our digestion, absorption, circulation, creation of saliva, transportation of nutrients, and maintenance of body temperature. Drinking water when you think you’re hungry may be the fix you need to avoid that unhealthy snack. Water is the cheapest drink you can get- even if you have buy it. Cha-Ching! Frugality in its simplest form right there. If you don’t believe me, check it out at WebMD. These are all big glasses so six should be plenty in combination with the fruits and vegetables that I regularly eat that also have water content. Did you notice there’s a bunch of befores in that list? Carrot and stick folks- thats the way I’ve got to roll with habit changes. Drink warm water with lemon. This makes me feel classy. That may be weird but that’s ok.
Have a yeti, knock-off yeti, or water bottle with you and full at any time. Drink a few sips after every call I make (since I’m in sales that’s a lot every day). Order water with lime from Sonic rather than a fountain drink. Or just avoid Sonic works too. Again, frugality and health often coincide. Eat healthy. Eating healthy makes you want to drink more water and drinking more water makes you want to eat healthier. 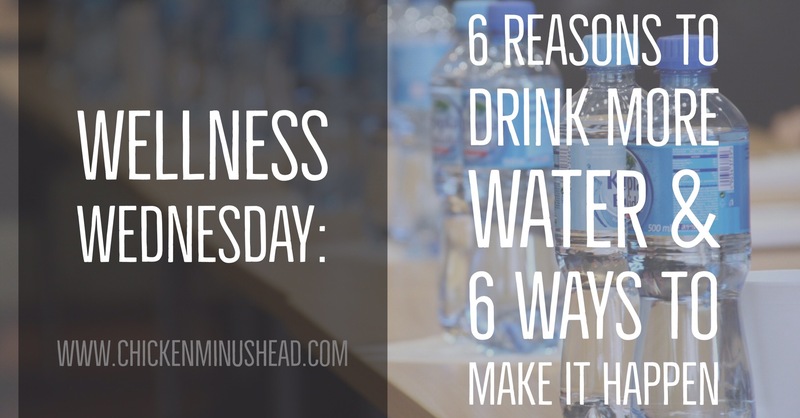 For more info on Wellness and my Well Being journey check out my first Wellness Wednesday post.